Ever had a phone call come in at the worst time? Maybe you’re not in a place where you can talk freely, or just aren’t in the mood for talking. Thankfully, both Android and iOS let you respond to incoming phone calls with a text message. 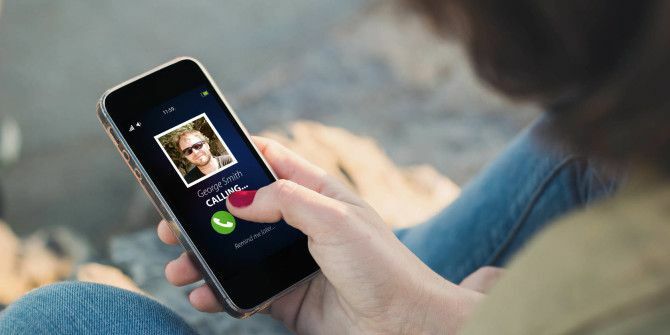 Whether you prefer to reject incoming calls and talk via text instead, or often receive phone calls that you can’t take for whatever reason, here’s how to use and customize canned responses. 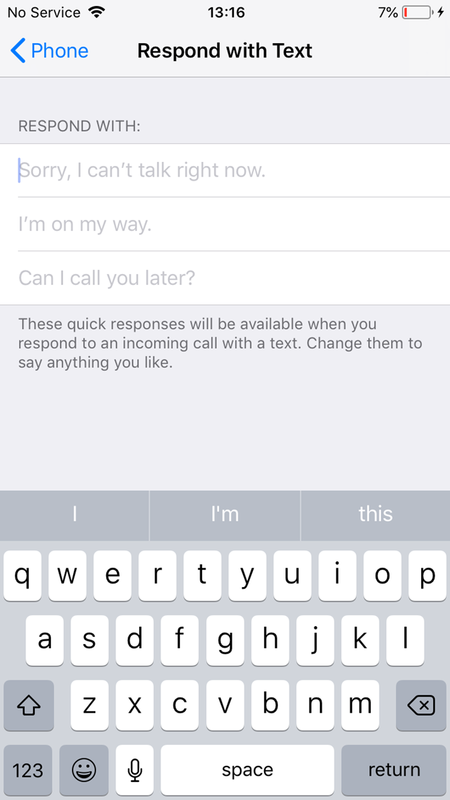 To access your list of quick replies, open the Phone app and tap the three-dot Menu button in the top-right. Choose Settings > Quick responses from this menu. 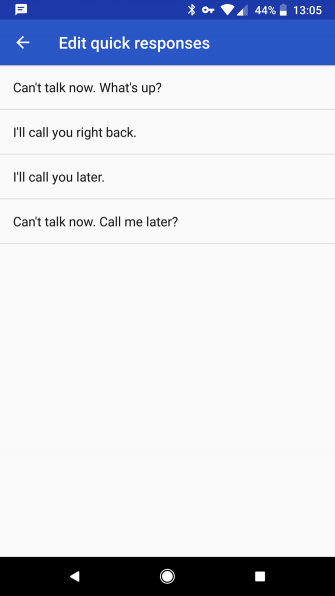 Here, you’ll see four generic responses like Can’t talk now. What’s up? and I’ll call you later. If these sound cold, just tap one and you can enter whatever you’d like. You can only set four responses, so pick ones you’ll use most often. 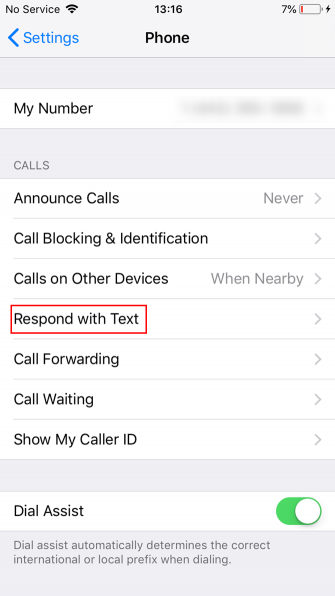 Now, when someone calls, slide the Messages icon in the bottom-left to the right. This will open a panel with your quick responses; tap one to send it. Select Write your own to enter a new response. If this intrigued you, check out more Android tips you probably weren’t aware of 13 Android Tips & Tricks You Probably Didn't Know About 13 Android Tips & Tricks You Probably Didn't Know About Come with us as we dive into the Android operating system and explore some cool hidden features. Read More . On iOS, you’ll find the comparable setting at Settings > Phone > Respond with Text. 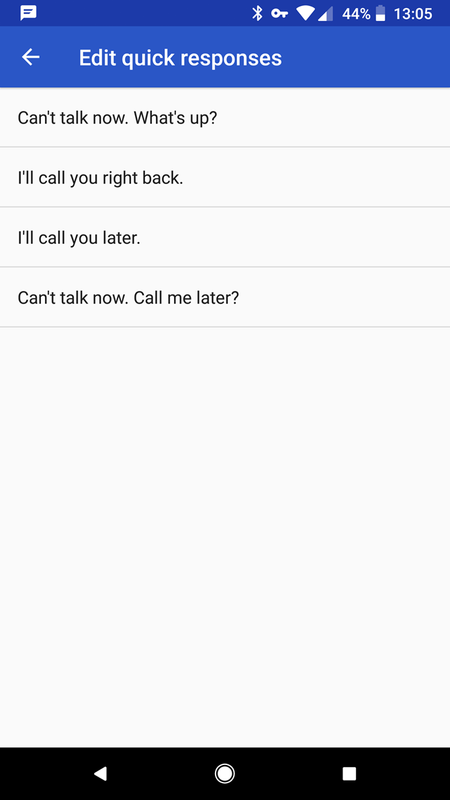 Tap any of the three default messages to edit it, and you’ll be all set to send them when you receive a call. Just make sure it’s not a spam call! 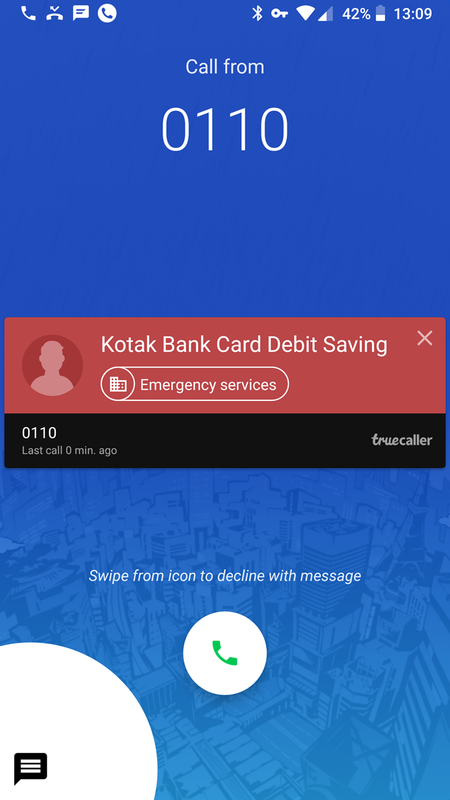 When you receive a phone call you can’t answer, tap the Message icon above the Accept and Decline prompts. From there, you can tap one of your texts to send it. If you tap Custom, you’ll open the Messages app and can type out a unique response instead. If you like these quick messages, check out how canned messages can increase your email productivity 4 Ways to Creatively Use Canned Responses for Email Productivity 4 Ways to Creatively Use Canned Responses for Email Productivity If you're effective, you're doing something right. That's why you should use email filters and schedule mail time. One trick is to prepare canned responses for emails you frequently write. Read More . I really dislike the canned response "feature". There needs to be a way to turn it off completely. My old phone brought up the canned response menu by swiping up from the bottom of the screen. The action of pulling my phone out of my pocket to answer a call would frequently be enough to bring up the menu. At that point any touch of the screen would send a message. I would often go to answer a call and find that a canned response had already been sent. 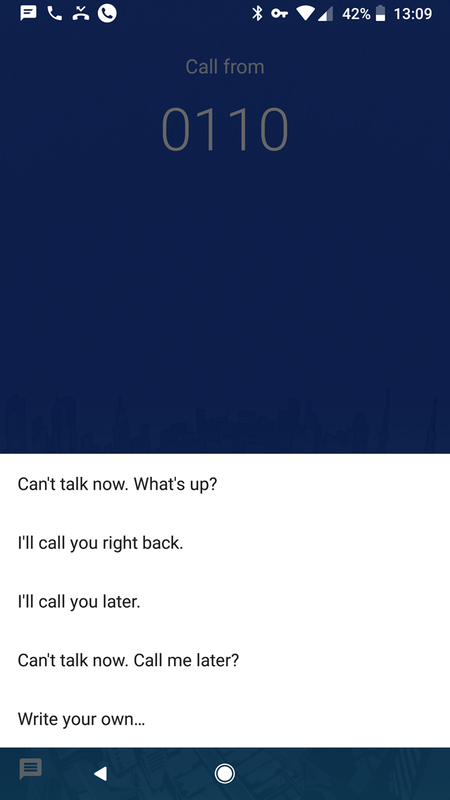 If the message hadn't already been sent it was almost impossible to get rid of the menu to answer the call without accidentally triggering a message anyway. I never once sent a canned response on purpose, but dozens of calls were rejected that way. The most distressing instance occurred when a family member called to let me know my sister-in-law was dying. The phone I have now isn't as bad. It rarely brings up the canned response menu accidentally, and the menu can be closed if it does appear, but to be on the safe side I'd still like to be able to turn it off completely, especially as I have no intention of ever using it.